IPdigIT Is copyright compatible with copying? Copyright law, as other intellectual property laws, creates a legal exclusivity on the use of an intangible asset. The copyright owner is granted the power to prohibit some acts of use regarding the protected work. In particular, the author can ‘say no’ to the copying of her work. (Copying falls under the reproduction right, but in Europe, the law also confers a right to communicate to the public whose limits are defined by the Court of Justice of the EU; see here). 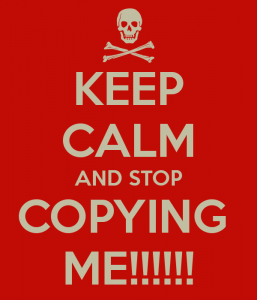 Copyright thus appears as an anti-copying tool. But is it fully correct? This cartoon itself reuses the sentence usually attributed to Pablo Picasso (‘Les bons artistes copient, les grands artistes volent’). It also complements Picasso’s formula: does the right part of the cartoon mean that copyright is blocking everyone to copy – except artists, good or great? 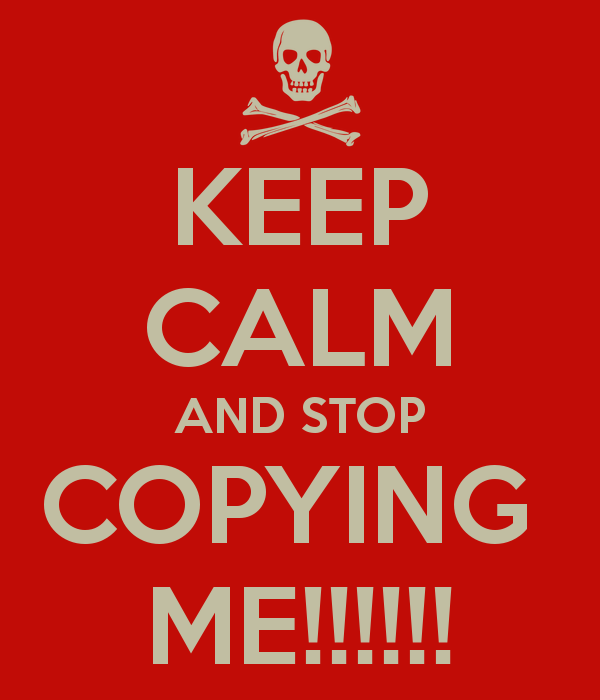 The relation between copyright, copying and creativity is a complex one. Copyright is an obvious barrier for copying. But not always. Some have even supported the view that copyright supports copying to some extent. 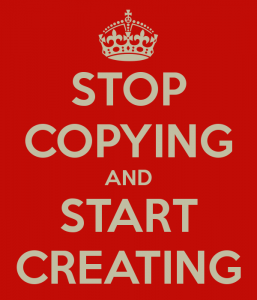 Theories of creativity also support the view that some form of copying is part of the creative process. But not at school! At least during the tests or exams! A recent web series called The Game is On! is worth to be viewed – please watch the episode 1 here called The Adventure of the Girl with the Light Blue Hair. Beware! It contains many leads that might help you to understand how copying and copyright have an uneasy, but strong relation with one another. The accompanying working paper entitled Copying, Creativity and Copyright (Febr. 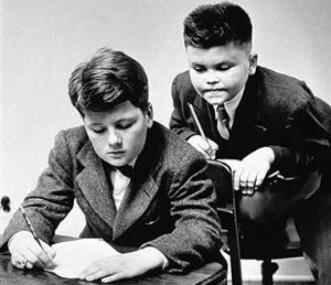 2016) authored by Ronan Deazley (Queen’s University Belfast) and Bartolomeo Meletti, as part of a CREATe project lead by Prof. Martin Kretschmer of the University of Glasgow, explains well how copying might be part of the creative process. DNA duplication: why does it appear in the video? Je suis Charlie: what is its meaning in the present context? Keep Calm and Carry On series: is it to the point? why to refer to Marcel Duchamp’s Fontain? is the process for creating The Adventure of the Girl with the Light Blue Hair illustrative? After having viewed the video and read the working paper, could you explain the message in your own words (without copying!) and illustrate it by three examples (other than those mentioned by the authors of those documents). Good work! And… Stop Copying and Start Creating!